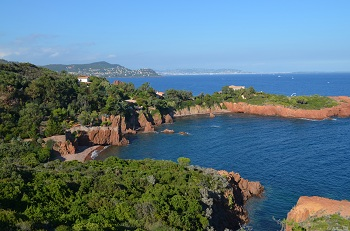 To the east of the fort of Sainte-Marguerite, facing the communal cemetary, you will find several small shaded coves constituted of pebblestones. 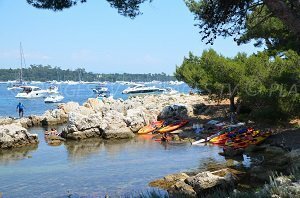 The different beaches are narrow but you can generally find a place because the regulars go sooner toward the south coast of this island. 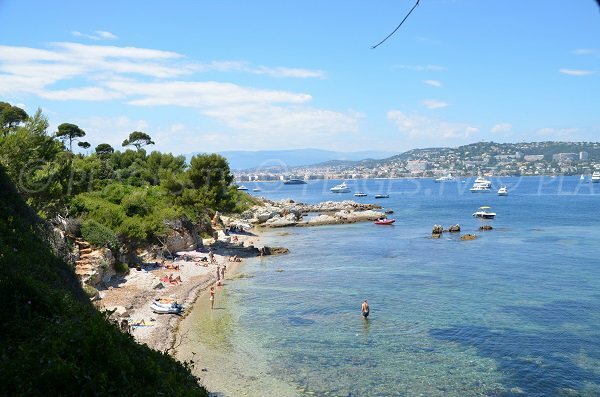 Beautiful view of Cannes to the Cap d'Antibes. 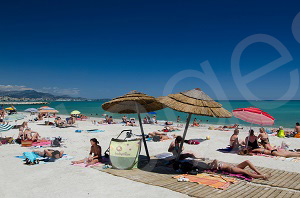 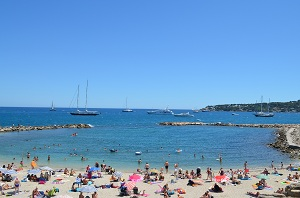 Swimming is on a mild slope but it is recommended to use shoes for swimming (as with all the beaches of the islands of Lerins). 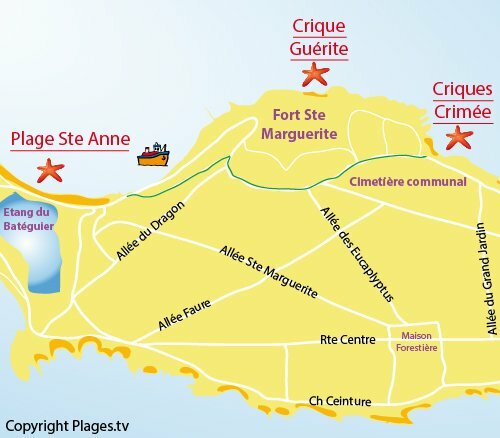 To arrive at this cove from the port, follow the indications for the communal cemetary. 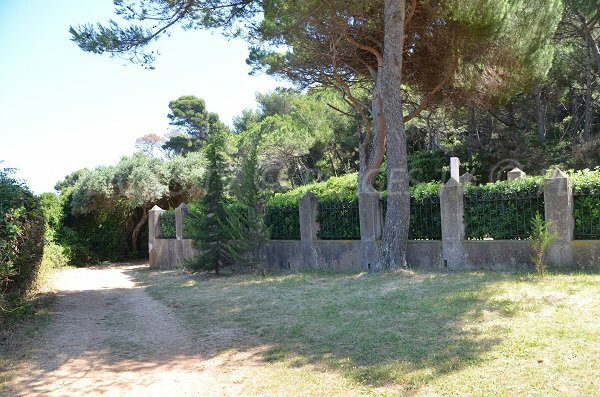 The staircases to access the cove are situated facing the cemetary. 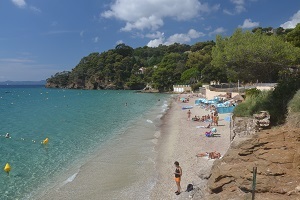 This cove situated on the north side of the island of Ste. 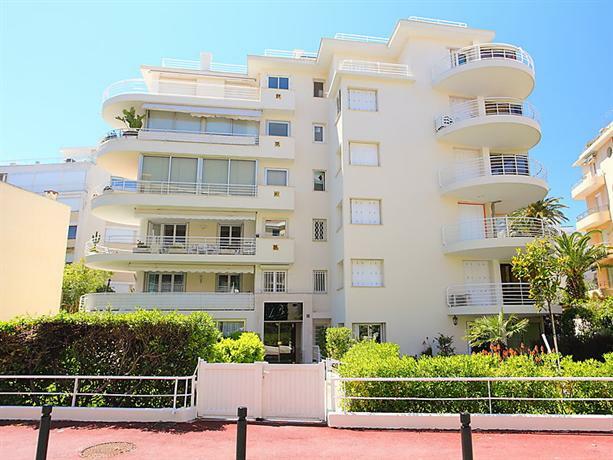 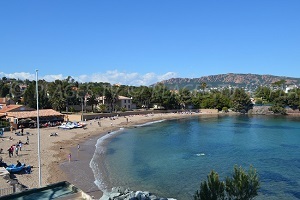 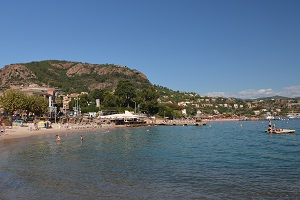 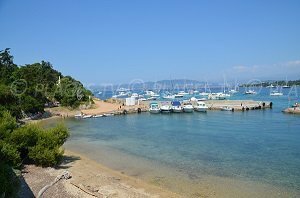 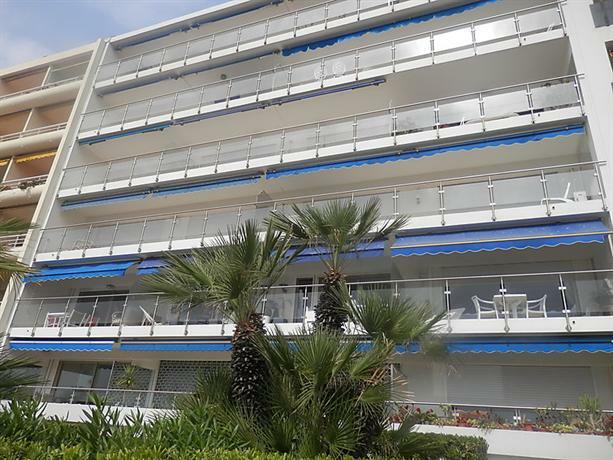 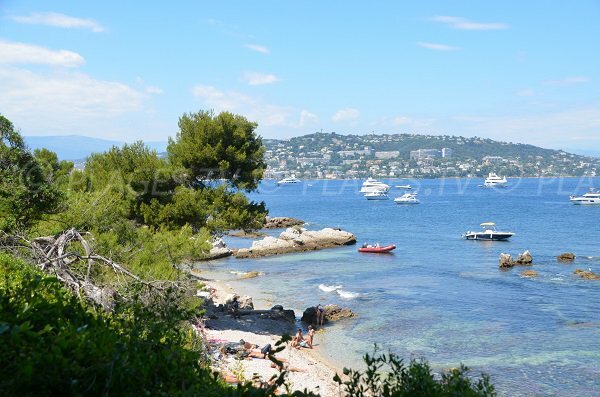 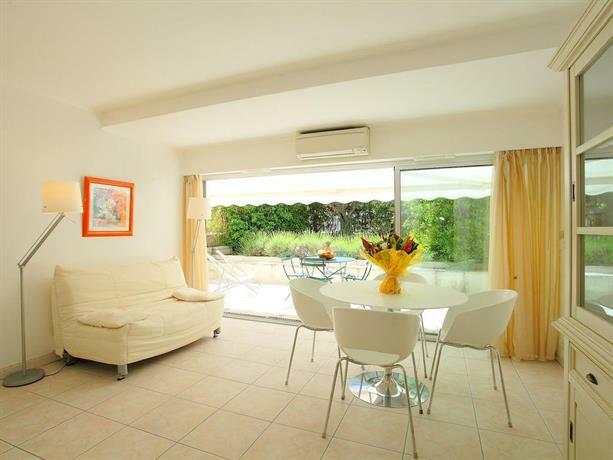 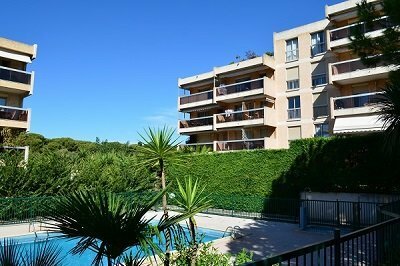 Marguerite offers a beautiful view of the bay of Cannes and of Juan les Pins. 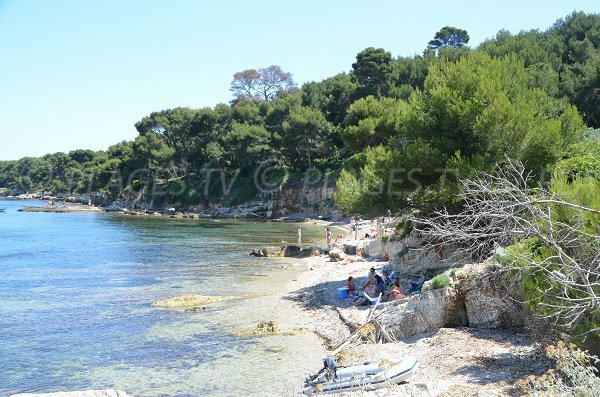 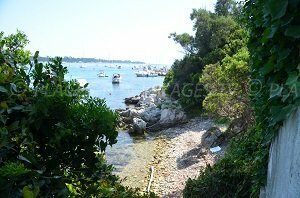 The access point is situated facing the communal cemetary of the island of Sainte Marguerite.